The fight to maintain hospital services could see evidence presented to an expert panel as part of a “People’s Commission” organised by NHS campaigners. Public hearings could be held as part of the campaign to halt controversial changes to NHS services in Calderdale and Huddersfield. Action group Hands off HRI (Huddersfield Royal Infirmary), launched three years ago to oppose hospital services being moved to Halifax, is planning the move after it was used by campaigners in Lewisham, where the High Court overturned a government decision to downsize services in the London borough. A People’s Commission would not produce a legally-binding outcome, but could result in a powerful verdict which would strengthen the case to maintain A&E services in Huddersfield, said Hands off HRI. In south-east London, the High Court overturned a decision by the then Health Secretary, Jeremy Hunt, to drastically reduce services at Lewisham Hospital in 2013. About 500 people attended People’s Commission hearings chaired by the high-profile barrister Michael Mansfield QC. Plans to bulldoze Huddersfield Royal Infirmary and centralise accident and emergency services in Halifax were axed in August 2018 after a storm of protest. Revised plans were drawn up which NHS bosses said would maintain 24-7 A&E services in both towns. But Hands off HRI rejected the new plan, saying most emergency patients would still be taken to Halifax, leading to longer and unsafe journey times to hospital. The Huddersfield campaigners previously launched Judicial Review proceedings and their case is still due to be looked at by a judge. NHS bosses have insisted the planned changes will make patient care safer. Warnings have been made that cash-strapped Calderdale and Huddersfield NHS Foundation Trust, which is facing a £43m deficit, cannot afford to run both hospitals. The trust is also saddled with costly repayments for Calderdale Royal Hospital, which was built using a controversial Private Finance Initiative. 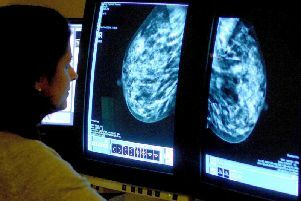 It it stands, the planned shake-up will be paid for with £196.5m of capital funding approved by the Department of Health and Social Care in December.